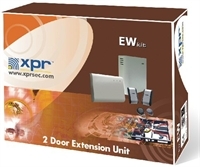 A one and two button door entry system including door panel, wall mountable telephone and 13Vac transformer. 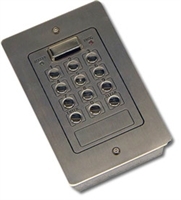 The Smart videokit has a compact surface mount door panel design and is available in several versions which include single button, two button, single entrance and two entrance. 1 Button flush GSM intercom kit including 13Vdc PSU and antenna. Intercom panel in the 4000 Series design with mirror stainless steel faceia and gun metal grey diecast surround. 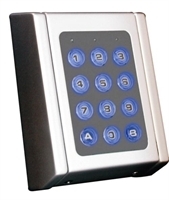 Access control device using digital codelock units. 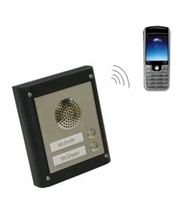 A stand alone proximity access control reader with built in dry contact relay and push to exit button input. 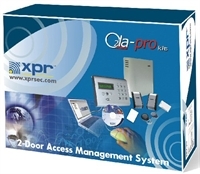 Two door Access control kit with PC software for monitoring and programming a system. Extension kit for the O2LA kits. 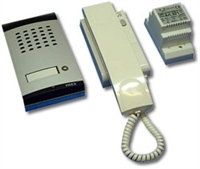 A vandal resistant 1 button intercom kit complete with 3111 white ABS plastic wall mount telephone and 520M PSU.